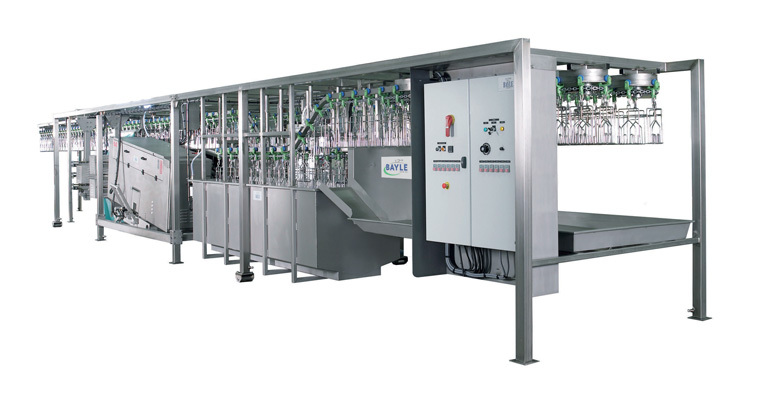 The new COMPACT processing line has been designed with a capacity of 150 ? 1500 chicken per hour, depending on the size of plucking machine. The idea of the new COMPACT system is still the same ? supplied ?ready to use? but with new quality and hygiene standards as demanded by the market. The frame is made of stainless steel. The new system does not have a platform on the ground making it easier for cleaning and removing feathers. The evisceration part of the line is supplied as an optional extra if required. The equipment used on the new COMPACT system is exactly the same as that used on a conventional processing line with the same quality and strength.